2. 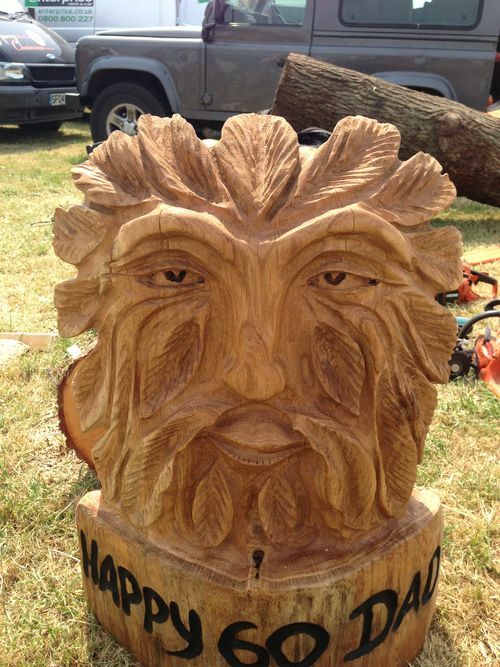 CHAINSAW CARVINGS - by MICHELE: Greenman face in oak - carved by my wife Michele. Greenman face in oak - carved by my wife Michele.